Jamshedpur has been Awarded as the Cleanest City of East Zone. May be the swachh survekshan 2017 jamshedpur ranking is not so pleasing for the jamshedpurians but morover that there is somthing big which will definatly give you the immense pleasure. 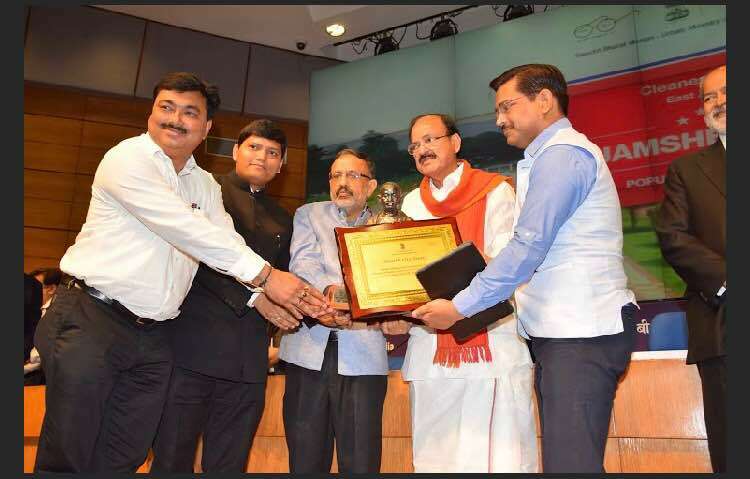 As Jamshedpur has recived 64th place in the cleanest city of india but recently DC, east singhbhum Mr. Amit kumar amd special officer from JNAC has recived the ‘Cleanest city of East zone’ award for Jamshedpur, this award has been given by Rajiv Gauba and M vaikaiyya Naidu at Delhi. 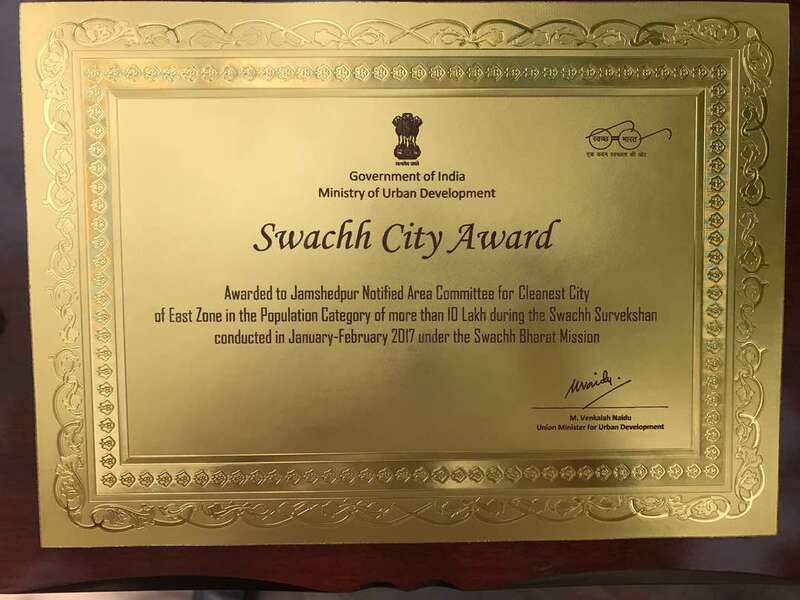 Not in the top 10 cleanest city of india but Truly this is nevertheless a proud moment for the jamshedpurians ruling the entire EAST. Cleanliness in Jamshedpur is not new. This should have been recognized long time back. Thanks to the Tatas not Jharkhand Government. Being a jamshedpurian i am feeling very proud. Its a green city and deserves this award.